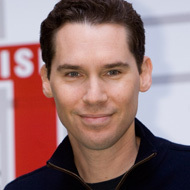 Confirming an earlier report by Hitfix, Variety says Universal has hired Bryan Singer to direct a film version of Battlestar Galactica, the 1978 TV show previously rebooted into a cult-beloved, little-watched Syfy series that broadcast its final episode just this March. Singer had actually tried to make a Battlestar mini-series for Syfy in 2001, but the network’s sensitivity about the script following the September 11 attacks held up production and forced him to drop out to direct X-Men 2. According to Universal, the new movie will be “a complete reimagination” of the franchise, which we suppose means it won’t incorporate many of Singer’s old ideas or elements from the recent series. In completely related news, Christopher McQuarrie — the screenwriter who worked with Singer on last year’s Tom Cruise–starring, Hitler-killing comedy Valkyrie — just signed on to pen the Wolverine sequel. So we’re happy everybody’s careers made it through that one okay.